In a world where business is ruled and dominated by men, a young amazon has stood out tall, not in heights or physical strength but in success and determination. Yasmin Belo-Osagie also known as Yasbo is a cofounder of She Leads Africa (SLA), a Nigeria-based social enterprise she built with Afua Osei in 2013. Today Yasbo has proven that there is no investment more profitable than female empowerment as she has gone on from leading in business to leading women empowerment in Africa. The Nigerian born 29 years old entrepreneur, studied in Princeton with degrees in History and Finance and has proven right the notion which says, educate a girl child and you educate a nation. Yasbo grew up realizing there weren’t enough women role models and so she decided to invest in women by becoming a role model and in so doing her investment has reaped multiple dividends in equipping female entrepreneurs in Africa with the knowledge, network, and financial support needed to build and raise strong business empires. She Leads Africa (SLA) is a digital media company for the modern, millennial African woman that provides the foundation to promote female entrepreneurs from SMEs to pan-African industry leaders. It provides support for ideas and gives opportunities to access professionals who can assist with mentoring and funding to escalate the process of rebranding start-ups into business empires. We are honoring this business amazon as our Youth of the week because she believes investing in people is the greatest way to achieve growth and development and with support from companies like Intel, Guaranty Trust Bank, Huawei, and Etisalat, she has helped nurture and grow hundreds of determined, ambitious and resilient female entrepreneurs to build amazing careers and businesses, serve as agents of change and influencers in their communities, and eventually take over the world while still leading the events and offline programming team. This week we are giving her all the accolades because asides being the co-founder of She Leads Africa our dear Yasbo has grown a community of 350,000 women across 47 countries, Collaborated with brands including Nestle, Bobbi Brown, Facebook, Dark & Lovely (L’Oreal), Intel, GTBank, Pandora and hosted the first all-female pan-Africa pitch contest. At just 29, Yasmin and her co-founder Afua Osei (26) were recently selected as 2 of Forbes’ 20 Youngest Power Women in Africa. She has featured in a number of reputable publications including Black Enterprise, Fox Small Businesses, Ventures Africa, etc. Yasbo is defying the stereotypical narratives of African women’s lack of inclusivity in business and leadership role by defying all odds to spotlight and highlight gender inclusivity by women in leadership positions while still maintaining a leading role in the kitchen, yes she is a trained sous chef who worked in the Mandarin Oriental in Hong Kong. 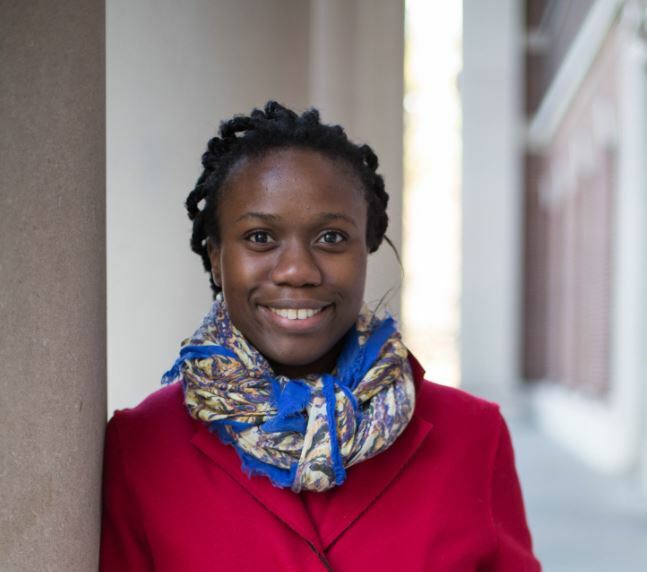 Yasmin Belo-Osagie is pursuing a joint JD/MBA from Harvard Law School and Stanford Graduate School of Business.